4316 Beechnut Lane, walk to the lake, walk to the pool, walk to the dog park. Play volley ball with your neighbors on Saturday monring. Five Oaks offers so much to do. 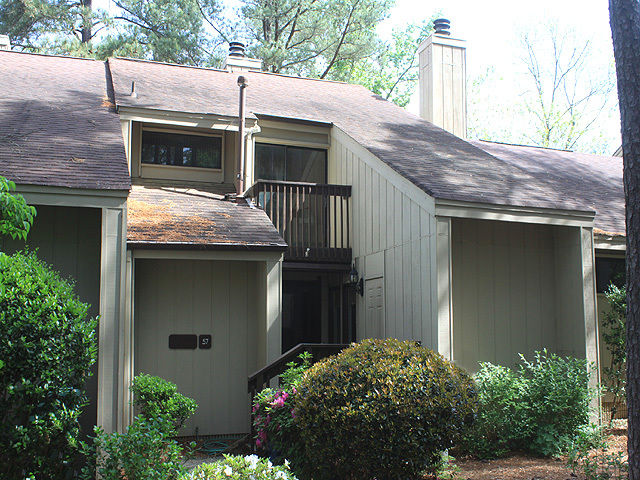 23 Prestwick Place in the Walden Pond neighborhood is just five minutes to Duke University, Duke Hospital and the VA Medical Center. This lovely townhouse is light, bright, open, airy and well kept. It is also very tastefully decorated and will compliment any décor. On the main level is a modern, full equipped galley kitchen with modern appliances. There is a nifty pass through which could be converted into a breakfast bar if so desired. Beyond the kitchen is a large living room/dining room combination with a wall of windows at the rear and a wood burning masonry fireplace tucked into the corner of the room. The main level also has a half bath which has been nicely updated. At the living room a door leads to a brand new tree top deck. Down one level is a full laundry space, a ceramic tiled bath and what could be a third bedroom, a family room, a home office, game room or bonus room. This space has a door to a large ground level patio. The second floor offers two spacious bedrooms, a full ceramic tiled bath and lots of closet space. 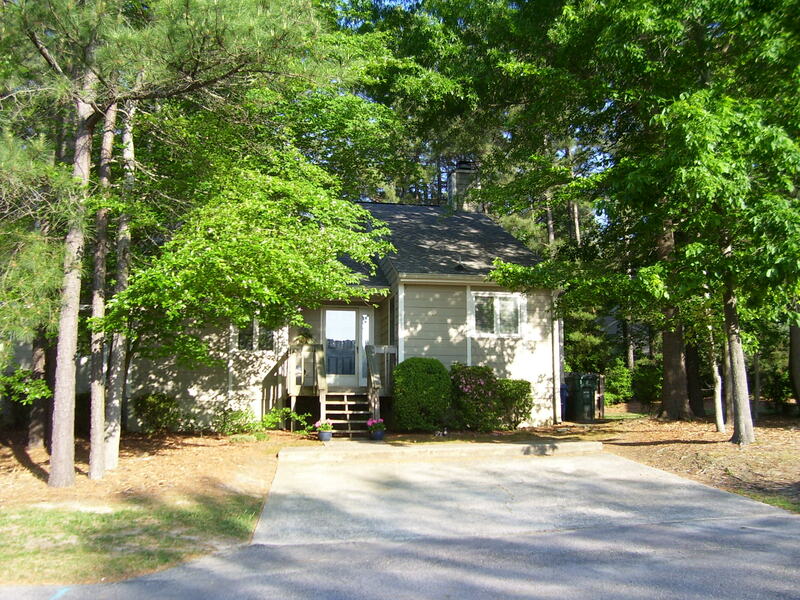 23 Prestwick Place Durham NC 27705 is move in ready. A one year H.S.A. Warranty is offered on this property. The roof has been recently replaced as have the front and rear decks. The current owner has also had the Polybuteleyne piping removed from the property. 5106 Granbury Drive borders a greenway and has a lovely feel about it. Come out on Saturday May 23, 2010 and see two terrific Hope Valley Farms homes with a fully fenced rear yards. 615 Edenberry Drive is priced at $178,900 is wonderfully decorated and has a lot to offer. 616 Edenberry Drive is priced at $159,900 and is lovely through and through. 4904 Pine Cone Dr. is a very special Five Oaks home all on one level. Wow! A ranch style, end unit townhouse, right across from the lake, two blocks to the pool and club house and a light bright open and airy interior. 4316 Beechnut Lane has hardwood flooring in the foyer, dining room, hallway and kitchen. The living room with its two story vault has new wall to wall carpeting. The entire townhouse has been recently painted inside and looks really fresh. The two bedrooms are split affording maximum privacy and the master suite has its own private bath. There is a whole lot to love about Five Oaks and this home, although dated this home offers a whole lot of space. This home has gracious living space, a three season sunroom, three bedrooms and two and a half baths. There is a large storage area/workshop at the front of this home and a storage area at the back of the home. All appliances stay with this home. So bring some imagination and make yourself a special home. 4100 Five Oaks Dr. #57 offers large living spaces, the focal point of the living room is a lovely fireplace and sliding glass doors open to a brand new rear deck space. The three season sunroom is large too and also opens to the rear deck space. A formal dining room is connected to the kitchen by a pizza pass through and the kitchen appliances are in terrific shape. The townhouses at 4100 Five Oaks Drive offer an extraordinary about of counter and cabinet space. Upstairs are three bedrooms and two full baths. A half bath services the main level. Each of the bedrooms is large and offers a whole lot of storage space. The master bedroom is serviced by its own bath and one bedroom has a romantic balcony overlooking the Pine Grove in the front yard space. Just a short drive north on Guess road, a mere fifteen minutes from downtown Durham you’ll find 707 Beckett Street in Canterbury Estates and serenity now. 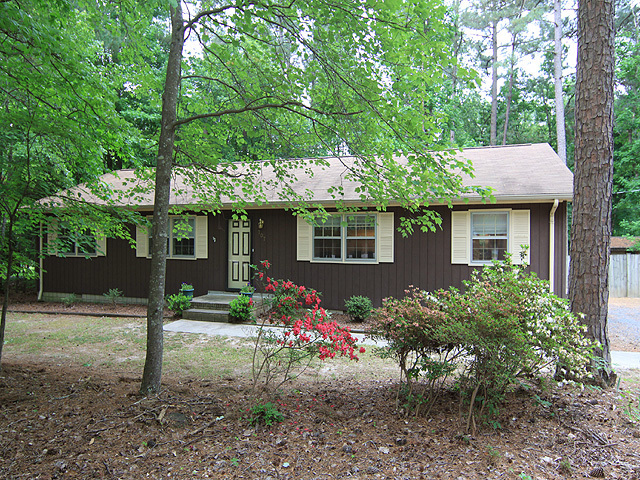 This well cared for ranch style home sits on over six tenths of an acre and is nestled behind a stand of trees. Inside is an absolutely huge living room, with vaulted ceiling and a fireplace and a door to a rear deck, which overlooks a fully fenced rear yard. The kitchen is updated with new 42 inch cabinets and Corian counter tops. The range, refrigerator and microwave oven stay with this home, as does the dishwasher. In addition to the eat-in- kitchen there is a formal dining room. This home has three nicely sized bedrooms, a master with its own private bath and ample closet space. The bathrooms have been updated too. You will love the low county taxes and the seller paid home warranty which is offered for buyer peace of mind. To see 707 Beckett Street, phone or text Michael Sullivan at 919-608-2372 or email MSullivan@fmrealty.com you may also visit Michael on the web at TeamMichaelSullivan.com or TeamMichaelSullivan.net to learn more about his listed properties. Come out on Saturday May 8, 2010 and see this terrific Grandale Place four bedroom executive style home. 5106 Granbury Drive is offered at $356,000 is wonderfully decorated and has a lot to offer. This home backs up to a natural wooded buffer area. Michael Sullivan with Team Michael Sullivan and Fonville Morisey Realty will host this open house.